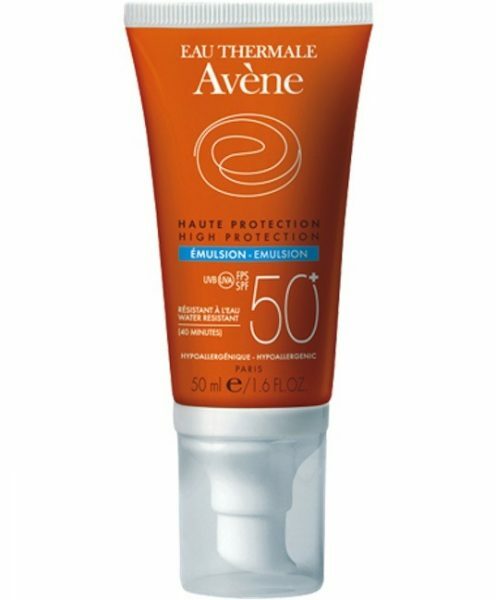 Avène High Protection Face Emulsion SPF 50+ (50 ml/1.7 oz) offers very high broad spectrum protection for sensitive normal to combination skin on the face. Contains both Tinosorb M and Tinosorb S.
Complex of photo-protective actives guarantees optimal broad spectrum long and short UVA/UVB protection. 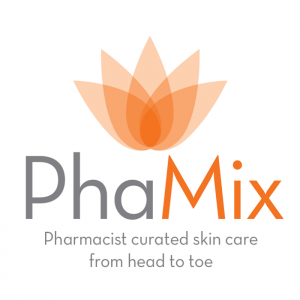 Contains a powerful antioxidant: Cucurbita Pepo Seed Oil (Pumpkin Seed Oil) – found to stimulate collagen in the skin, increase hydration, improve skin elasticity and help to reduce the appearance of fine lines and wrinkles. Apply before sun exposure. Reapply as needed or after swimming, towel drying, perspiring heavily or washing. Aqua. C12-15 Alkyl Benzoate. Butylene Glycol. Dimethicone. DiiSsopropyl Adipate. Cyclopentasiloxane. Cyclohexasiloxane. Glyceryl Stearate. PEG-100 STearate. Potassium Cetyl Phospate. VP/Eicosene Copolymer. Caprylic/Capric Triglyceride. Caprylyl Glycol. Cucurbita Pepo Seed Oil. Decyl Glucoside. Dimethiconol. Disodium EDTA. Fragrance (Parfum). Glyceryl Behenate. Glyceryl Dibehenate. Hydroxyethyl Acrylate/Sodium Acryloyldimethyl Taurate Copolymer. Isohexadecane. Polysorbate 60. Propylene Glycol. Silica. Sorbic Acid. Sorbitan Isostearate. Stearyl Alcohol. Tocopheryl Glucoside. Tribehenin. Xanthan Gum. For external use only. Avoid contact with eyes. Discontinue use if irritation or rash occurs. For use on children under 6 months of age consult your doctor.